Life would have been so much easier there would be a Robocop along to assist us in our daily tasks. Well! That always had been an unreasonable childhood fantasy, however, one such thing now seems possible if automakers could pursuit the idea which Evan Kirstel shared in his tweet captioning it – “Well this is handy”. And indeed it is, specially for an easy-going (read: laid-back) person like me who wouldn’t mind a robot to fill his car’s boot for him. Kirstel’s tweet shows a special affect film where a car itself packs-in all the boxes in his boot using hands which pop out of its taillamps. Quite fancy! Isn’t it! That said, I would definitely have loved a Robot coming out of the car to pick my luggage and keep it in my car. But as they say, something is better than nothing, so even this would do. 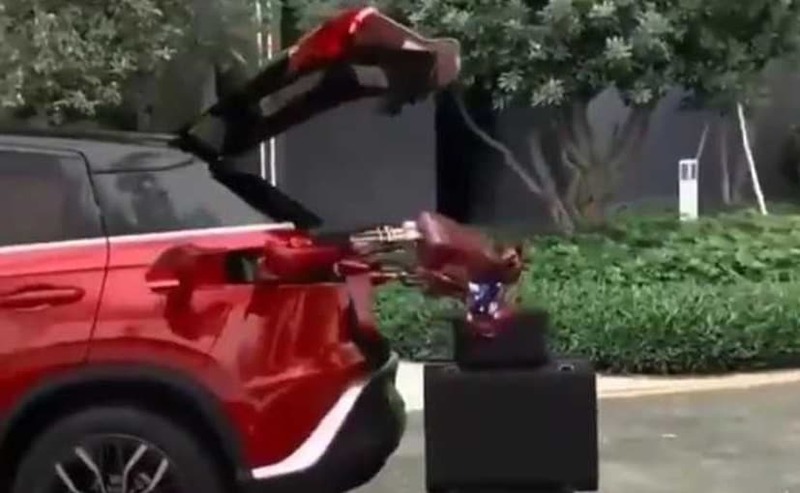 Interestingly, carmakers are already half-way there and technologies like foot-gesture boot release, keyless boot release and button operations for closing the boot doesn’t sound alien and many of us have used them. It’s probably the time now that carmakers should take the innovation a step ahead and come-up with something like this. There are brands which strive on technology, for instance, Audi which tagline is- Vorsprung Durch Teknik and that in English translates to ‘innovation through technology’. In-turn, we can expect such brands to give it a shot and make our life a bit more comfortable. P.S. : The tweet shows a special effect video which isn’t real. carandbike viewer Amit Rele has shared the tweet with us.